generated by an institution’s operations in a given period. data contained in the RPs of all group companies. endorsed by the European Union. 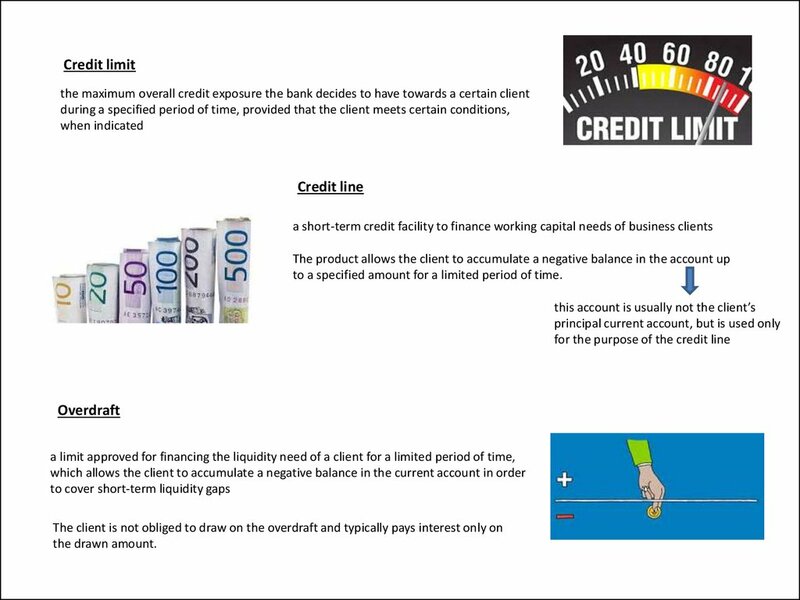 shorter period to the net carrying amount of the financial asset or financial liability. 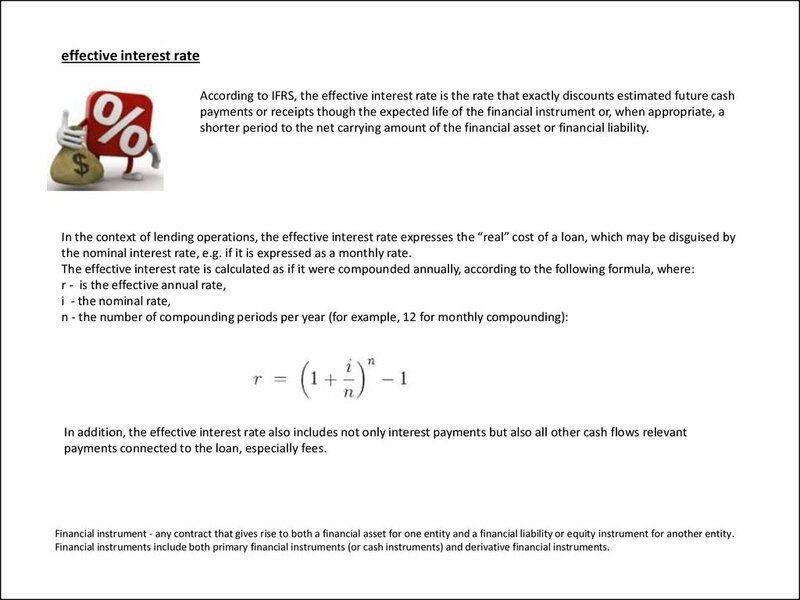 the nominal interest rate, e.g. if it is expressed as a monthly rate. payments connected to the loan, especially fees. 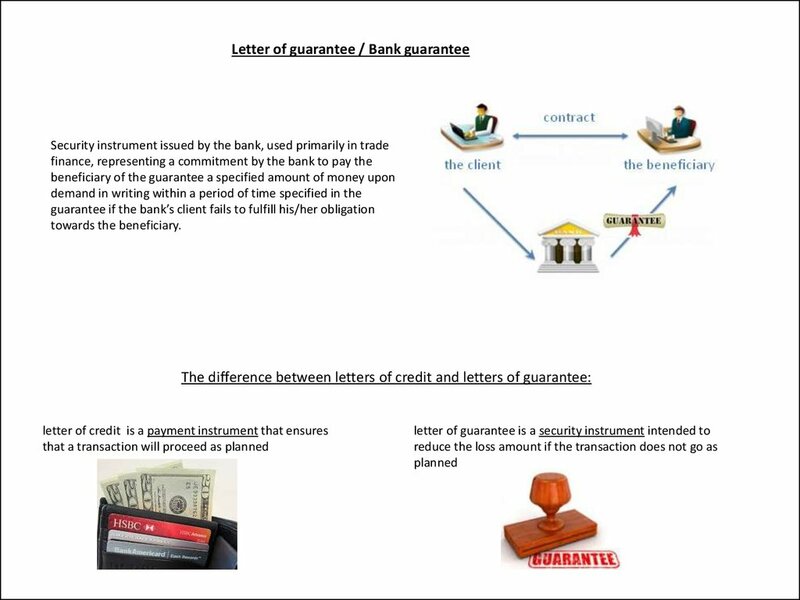 Financial instrument - any contract that gives rise to both a financial asset for one entity and a financial liability or equity instrument for another entity. 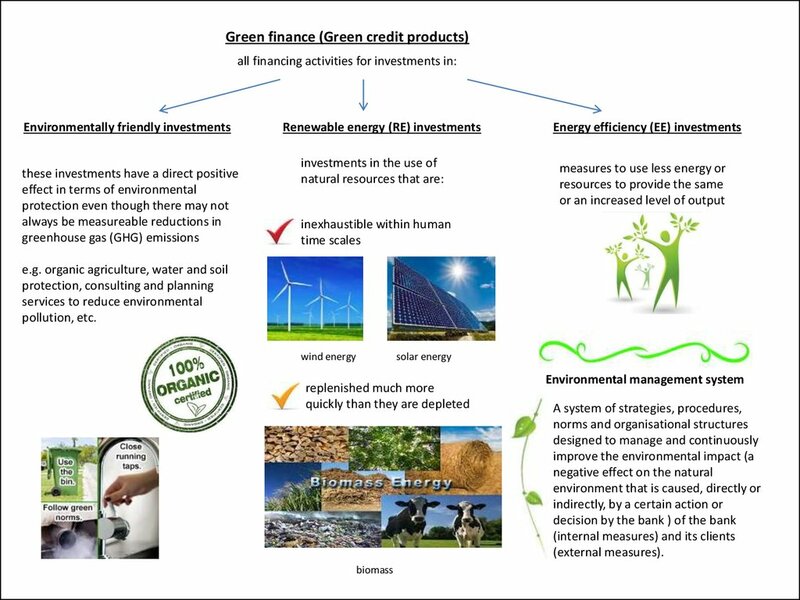 Financial instruments include both primary financial instruments (or cash instruments) and derivative financial instruments. an apparently legal origin. If successful, this process gives legitimacy to the money, which the criminals continue to control. 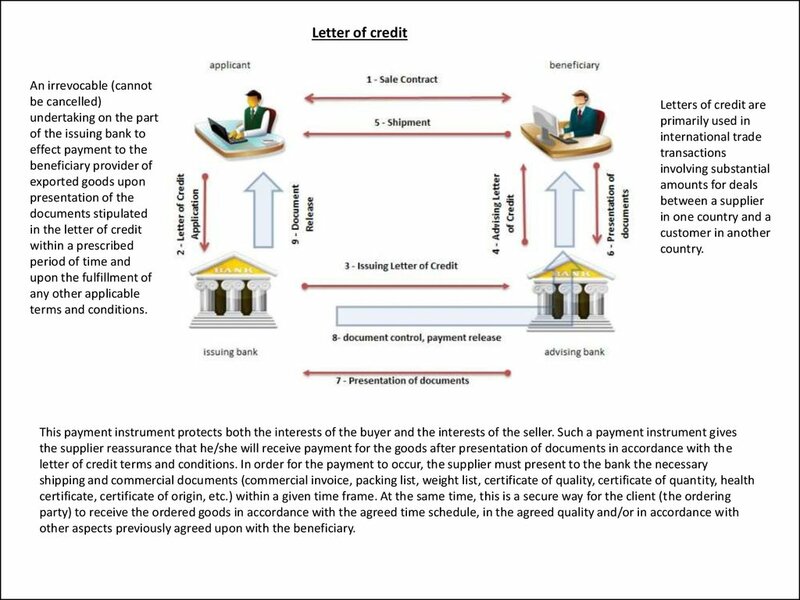 system and involves numerous financial intermediaries in a variety of countries. 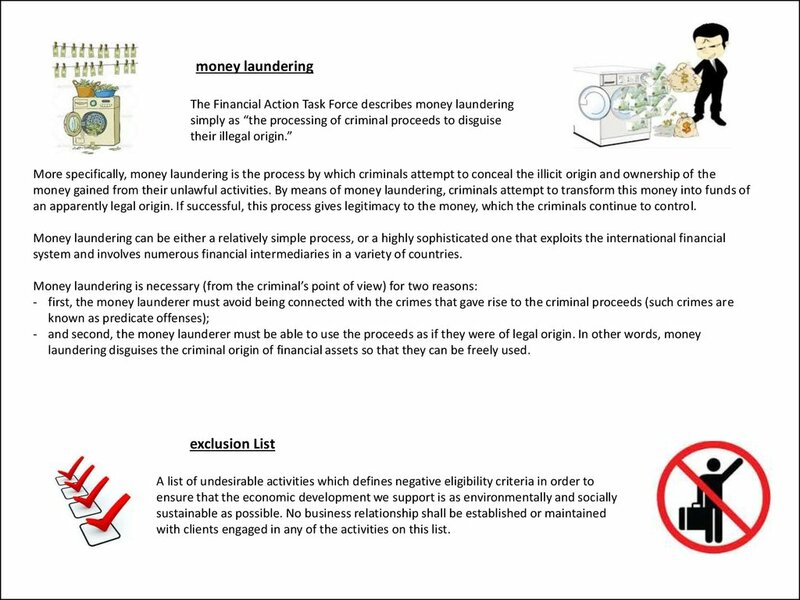 laundering disguises the criminal origin of financial assets so that they can be freely used. with clients engaged in any of the activities on this list. disruptions and therefore continue business operations at pre-defined level. 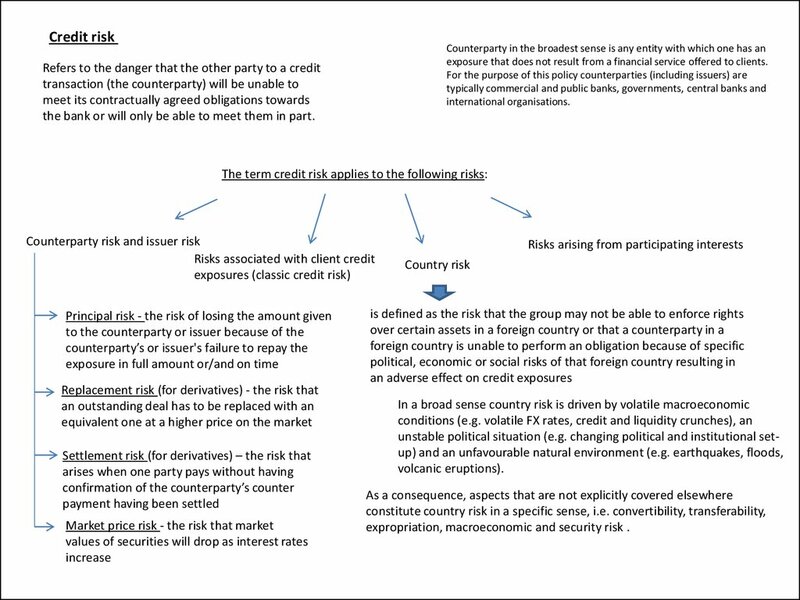 credit risk decisions and pricing. are on the agenda of the committee. 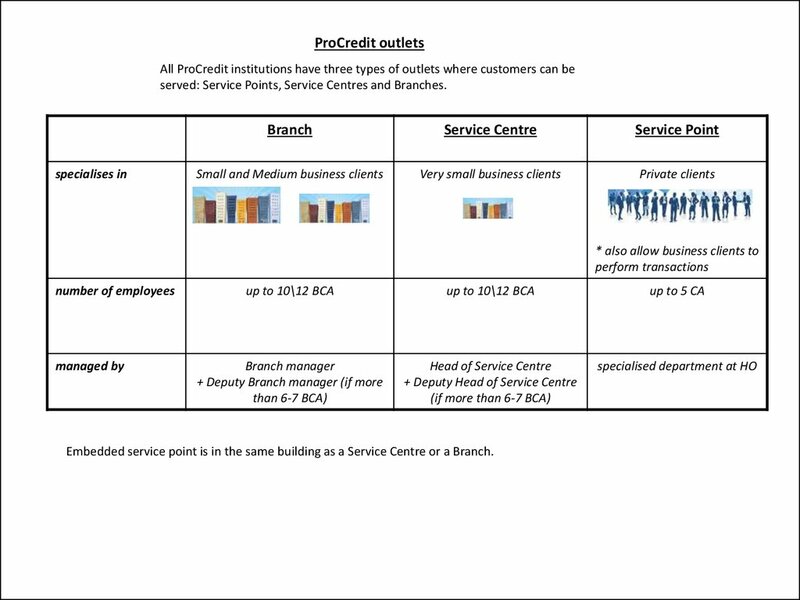 Service Centre without the involvement of the Credit Risk Department. 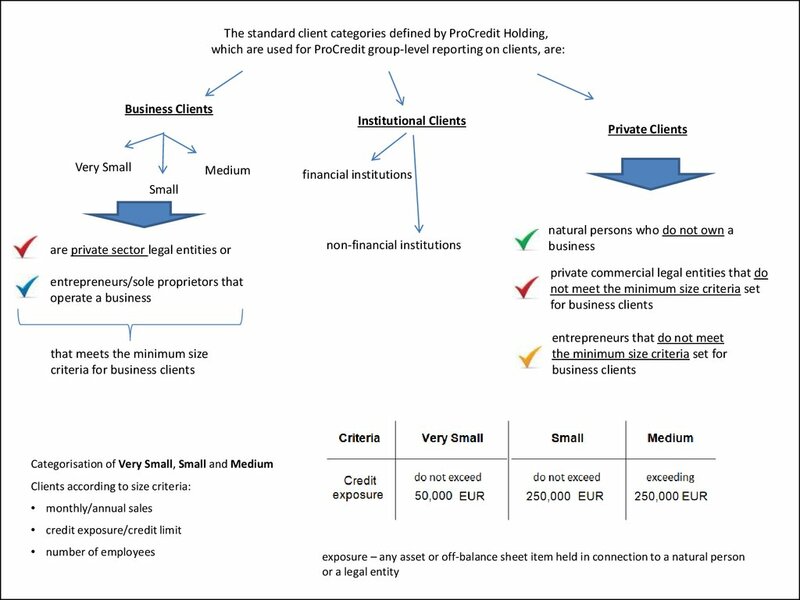 bank’s work with business clients, broken down by business clients’ location. 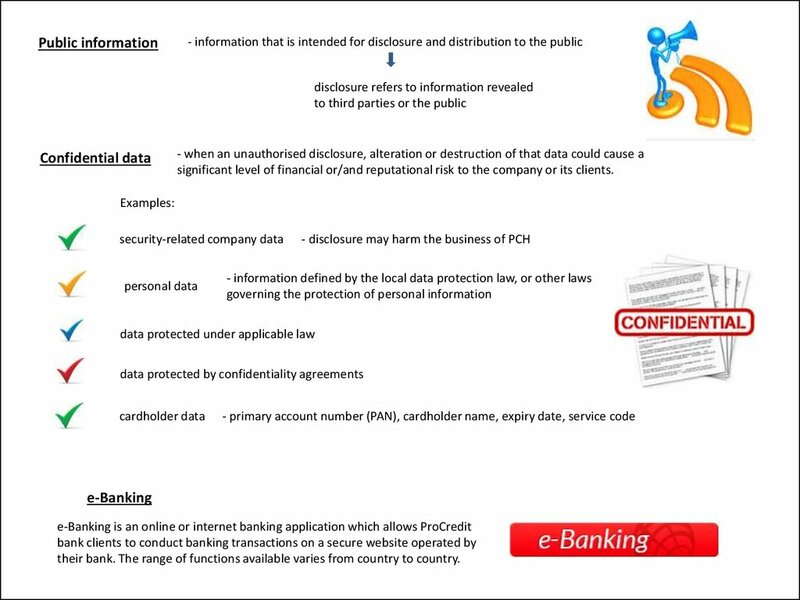 to prevent their use for money laundering or fraud and to avoid reporting distortions. to use e-Banking and to reach the contact centre. It is also accessible outside office hours. 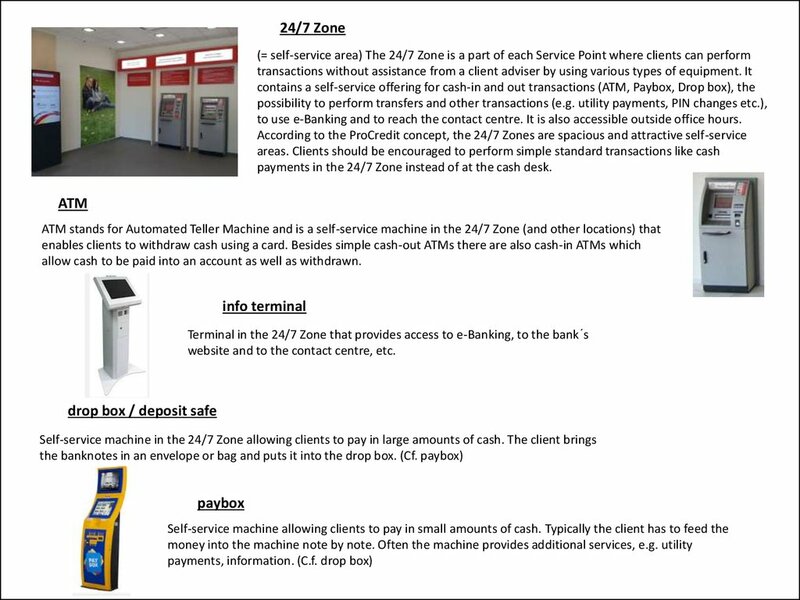 payments in the 24/7 Zone instead of at the cash desk. allow cash to be paid into an account as well as withdrawn. website and to the contact centre, etc. income by average total assets. groups: Common Equity Tier 1 capital ratio, Tier 1 capital ratio and total capital ratio. 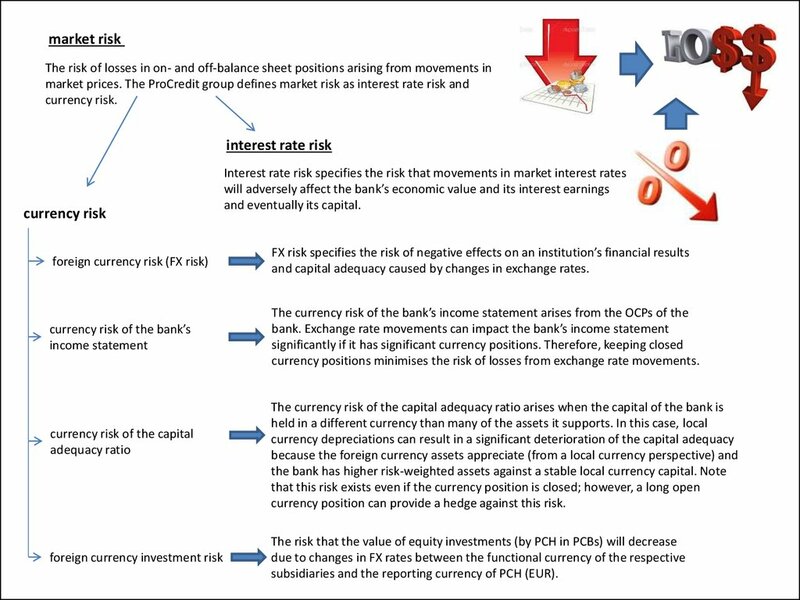 The ratios are calculated by dividing these capital components by the risk-weighted assets. 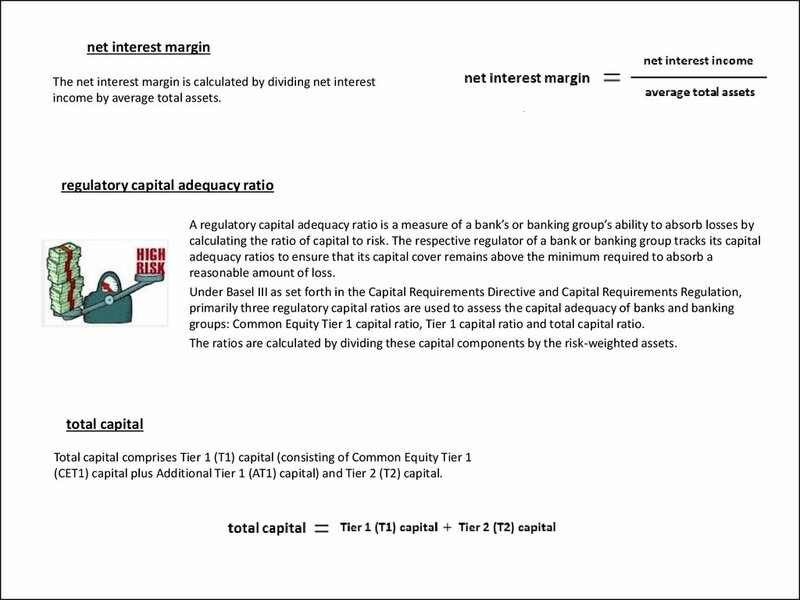 (CET1) capital plus Additional Tier 1 (AT1) capital) and Tier 2 (T2) capital. relation to operating income before provisioning. and advances to customers, expressed as a percentage. the period and at the end of the period. of the client’s economic situation. one or more outstanding loans. experience such difficulties does not constitute restructuring. value of the credit exposure may have deteriorated. existence and size of an impairment loss. 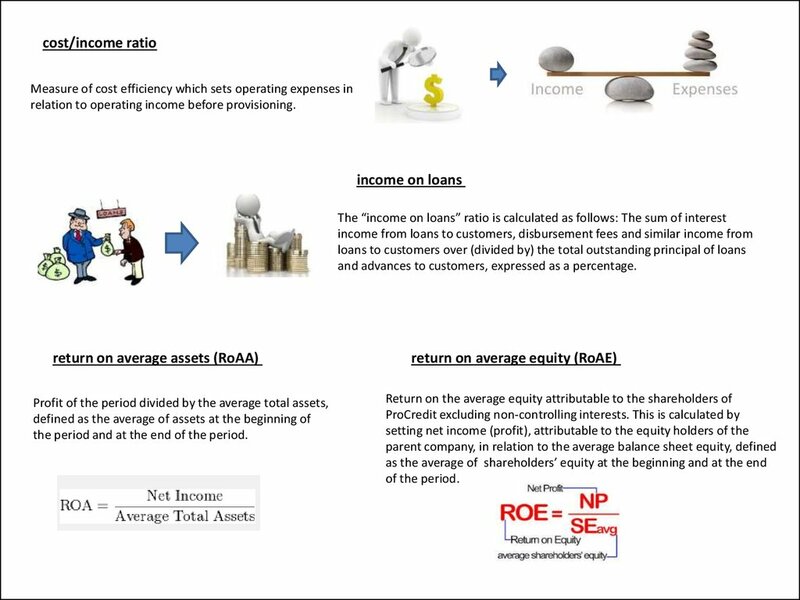 net present value (NPV) of a credit exposure. using the time value of money to appraise long-term projects. and to determine the need for specific provisions. 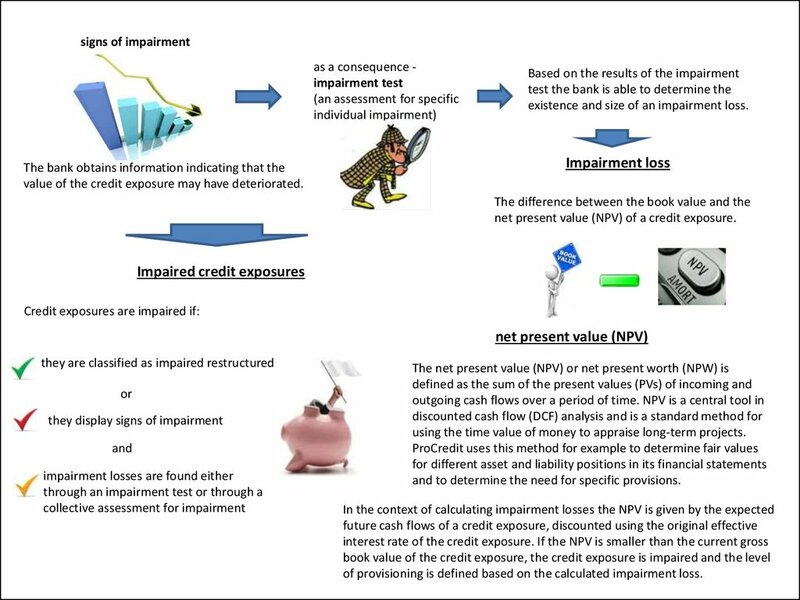 of provisioning is defined based on the calculated impairment loss. 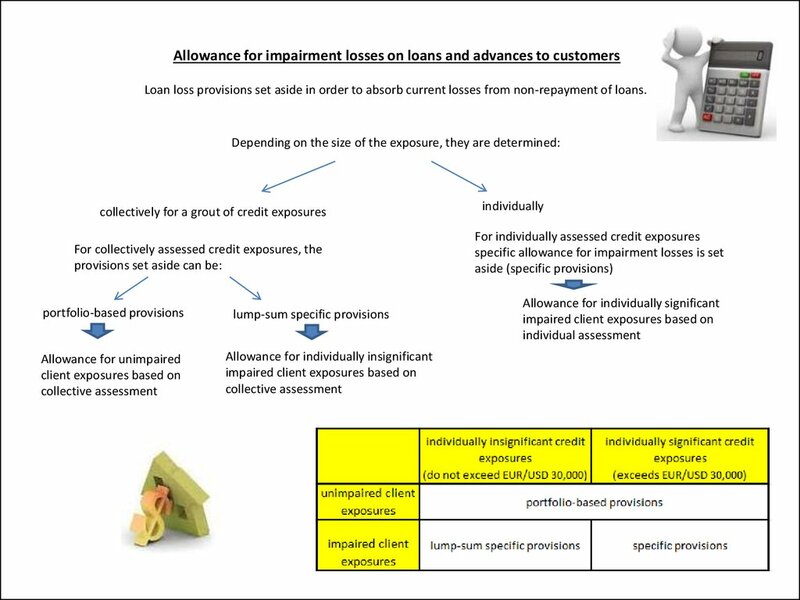 Loan loss provisions set aside in order to absorb current losses from non-repayment of loans. made on time and continue to be delayed for a period of more than 30 (90) days. contract, as well as all other loans disbursed to this customer, are considered to be at risk. of the exposure and collateralisation. of the accumulated interest only. 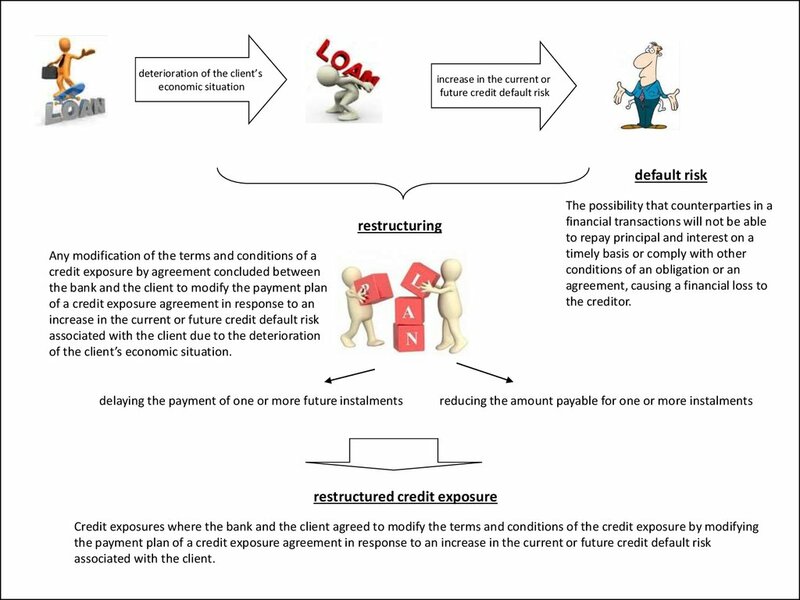 consists of two components: repayment of part of the principal and payment of interest. to a specified amount for a limited period of time. 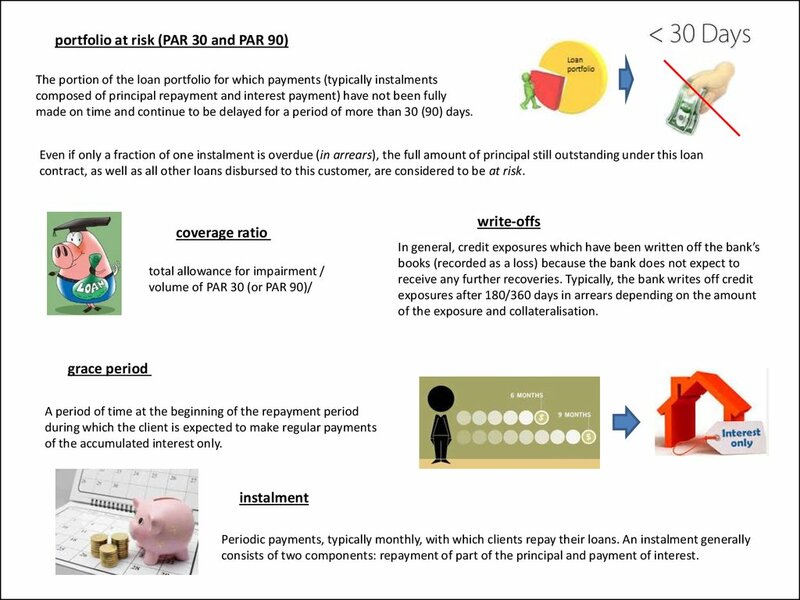 other aspects previously agreed upon with the beneficiary. exposure that does not result from a financial service offered to clients. the bank or will only be able to meet them in part. expropriation, macroeconomic and security risk . and capital adequacy caused by changes in exchange rates. 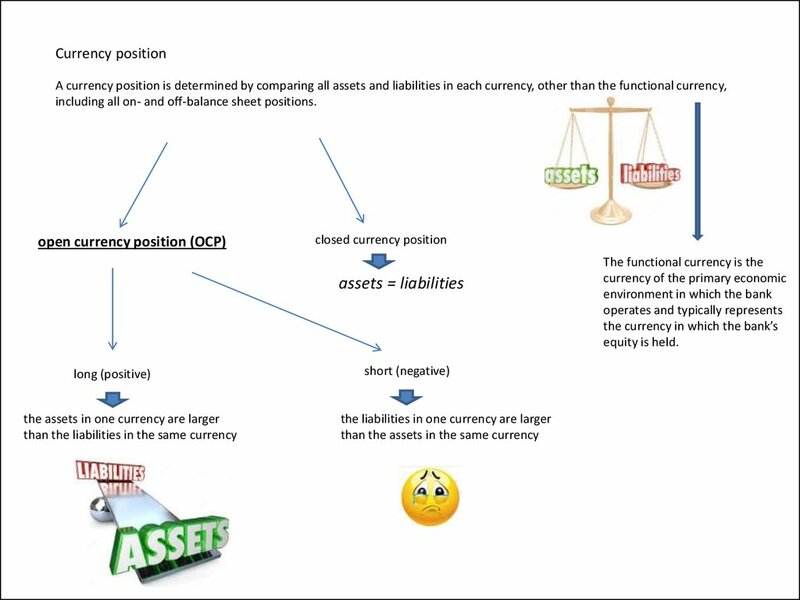 currency positions minimises the risk of losses from exchange rate movements. currency position can provide a hedge against this risk. 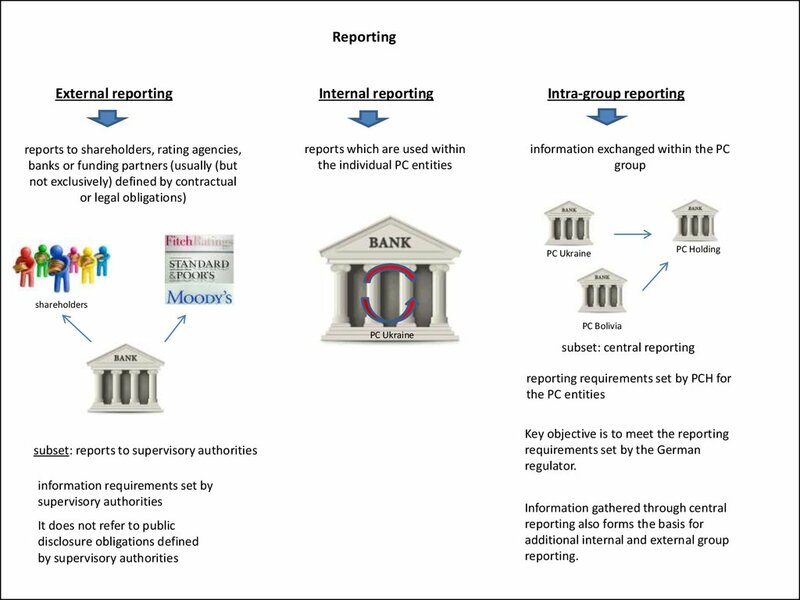 subsidiaries and the reporting currency of PCH (EUR). including all on- and off-balance sheet positions. process. 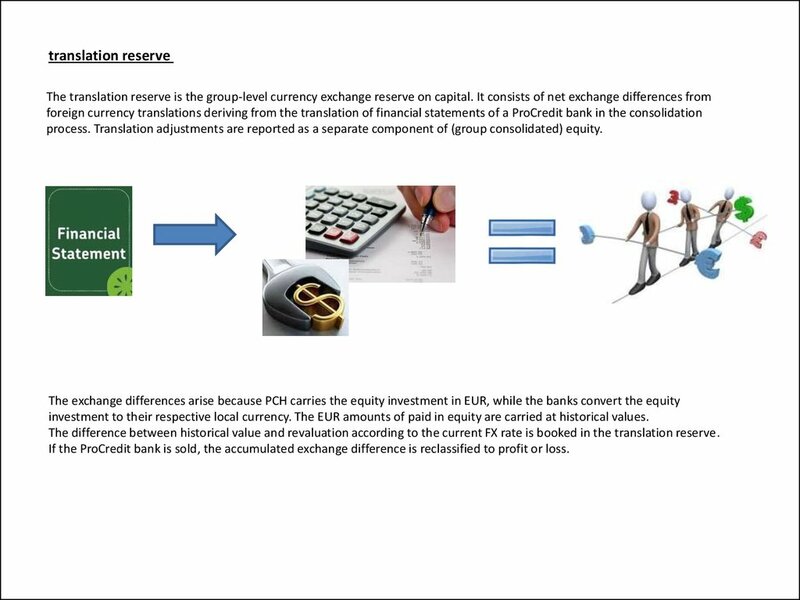 Translation adjustments are reported as a separate component of (group consolidated) equity. investment to their respective local currency. The EUR amounts of paid in equity are carried at historical values. The difference between historical value and revaluation according to the current FX rate is booked in the translation reserve. 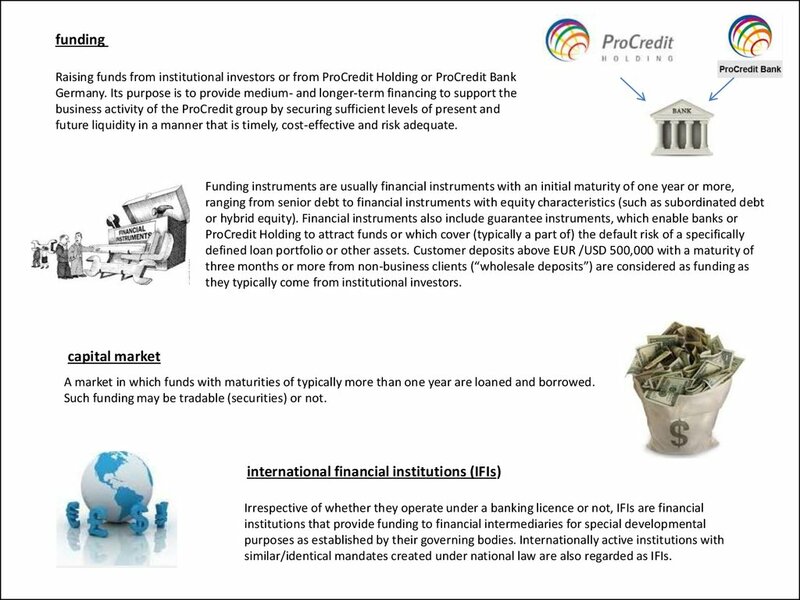 If the ProCredit bank is sold, the accumulated exchange difference is reclassified to profit or loss. 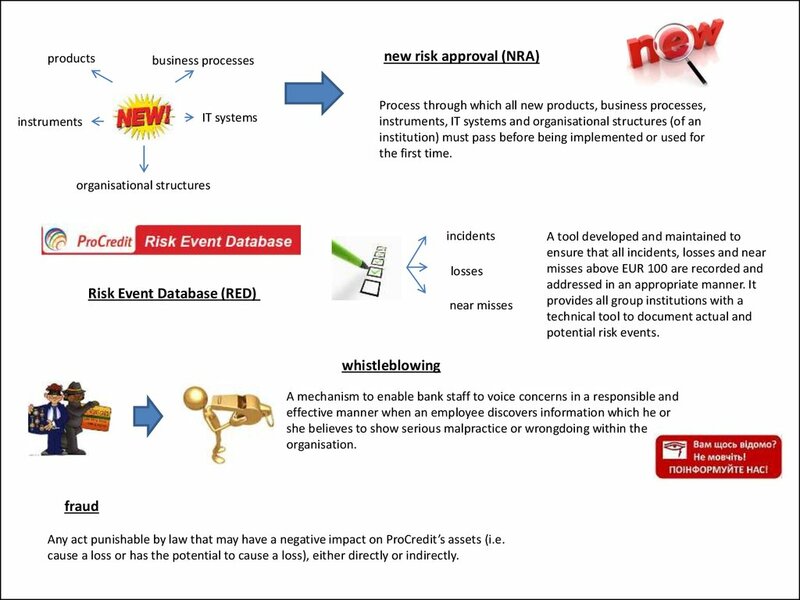 Any act punishable by law that may have a negative impact on ProCredit’s assets (i.e. cause a loss or has the potential to cause a loss), either directly or indirectly. 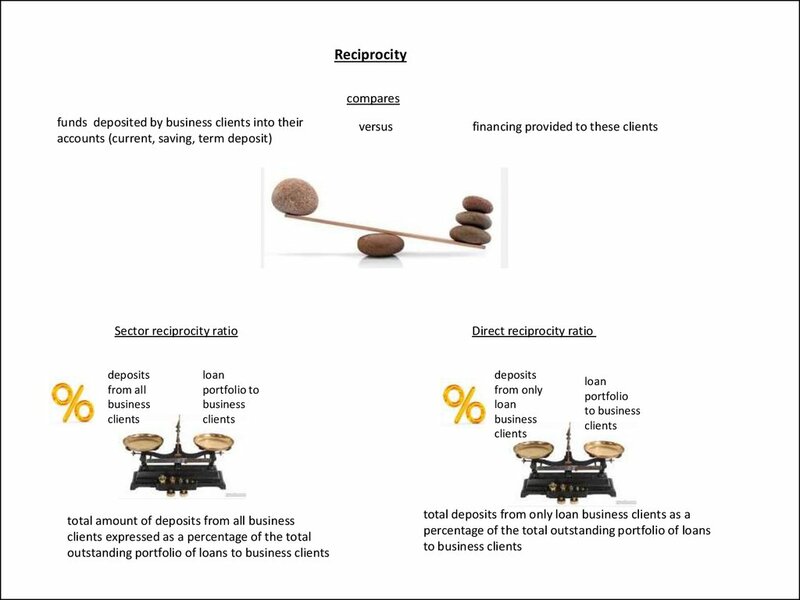 future liquidity in a manner that is timely, cost-effective and risk adequate. they typically come from institutional investors. A market in which funds with maturities of typically more than one year are loaned and borrowed. Such funding may be tradable (securities) or not. 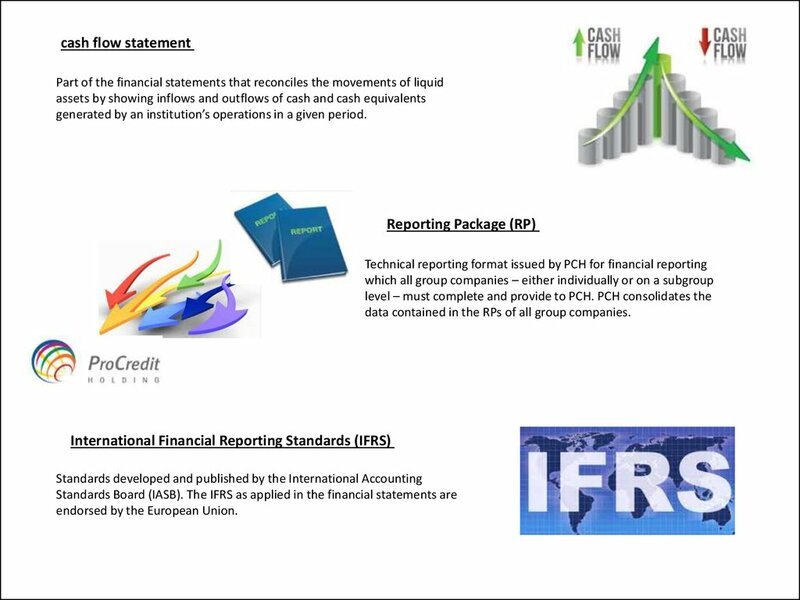 similar/identical mandates created under national law are also regarded as IFIs. may lead to disciplinary action that can include dismissal from the group entity. 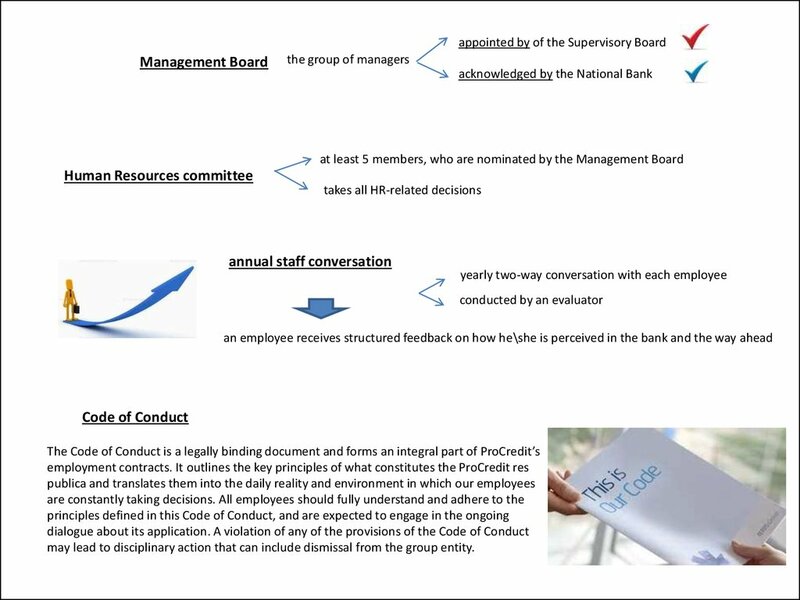 is the main entry point to a ProCredit bank for new employees. 6-month probation period. 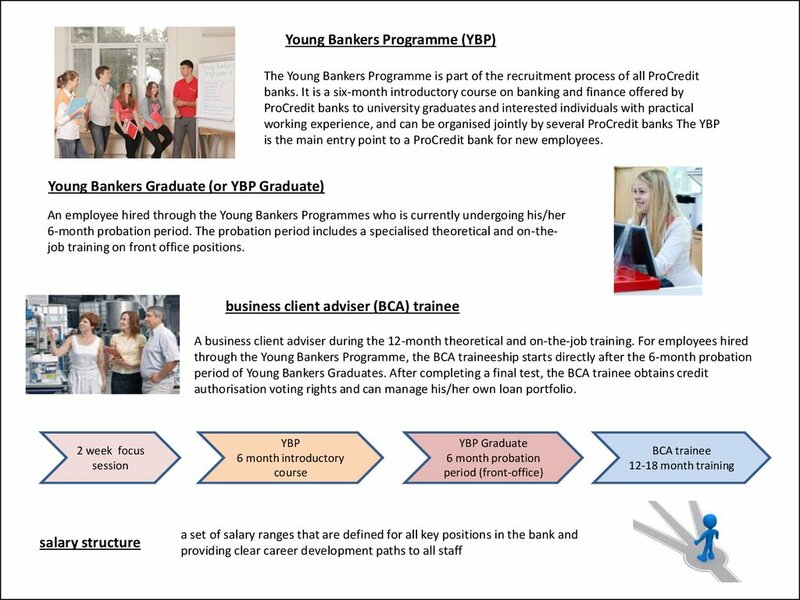 The probation period includes a specialised theoretical and on-thejob training on front office positions. 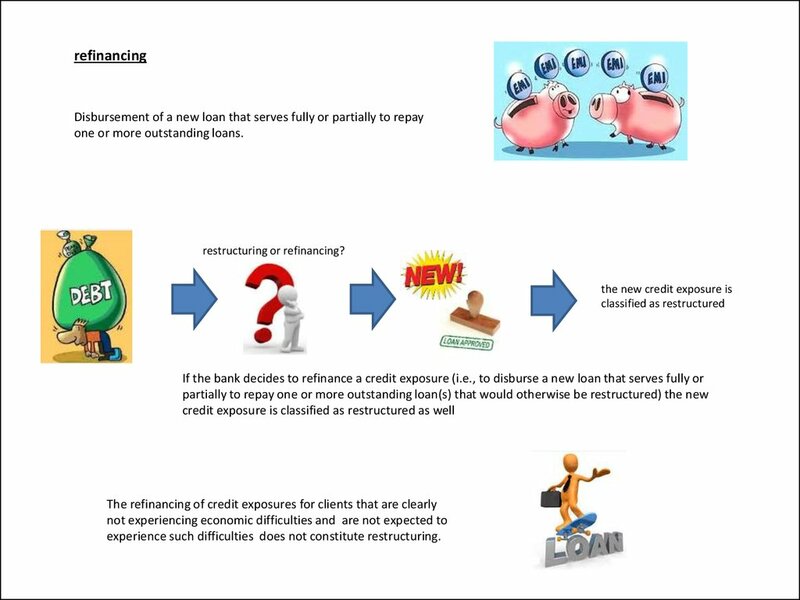 authorisation voting rights and can manage his/her own loan portfolio. 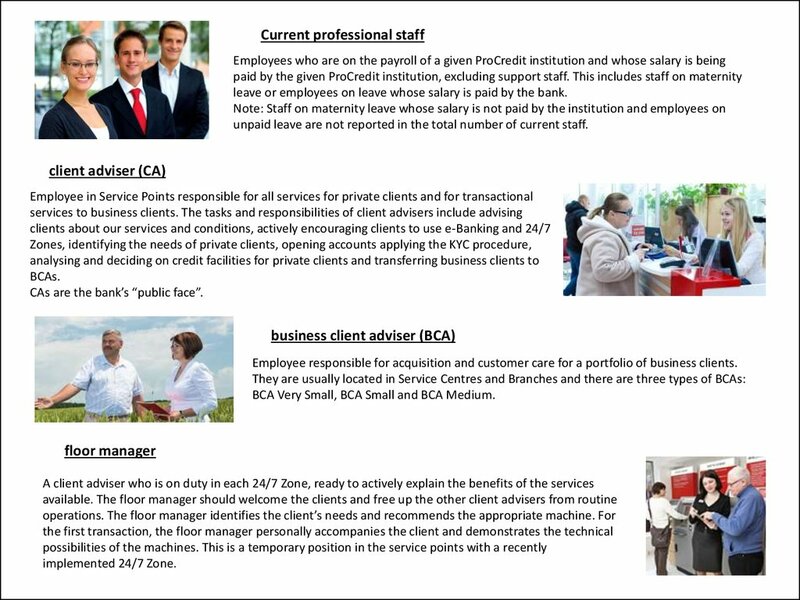 served: Service Points, Service Centres and Branches. Embedded service point is in the same building as a Service Centre or a Branch. leave or employees on leave whose salary is paid by the bank. unpaid leave are not reported in the total number of current staff. 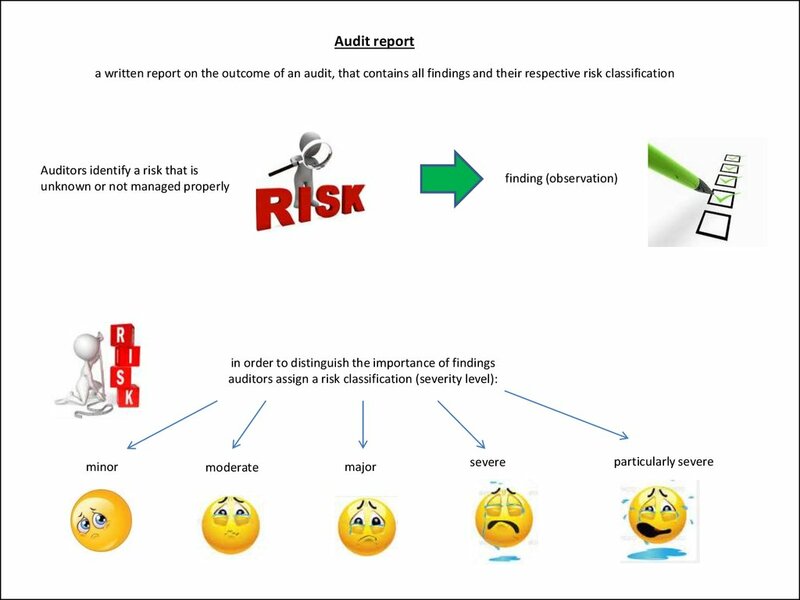 CAs are the bank’s “public face”. Employee responsible for acquisition and customer care for a portfolio of business clients. 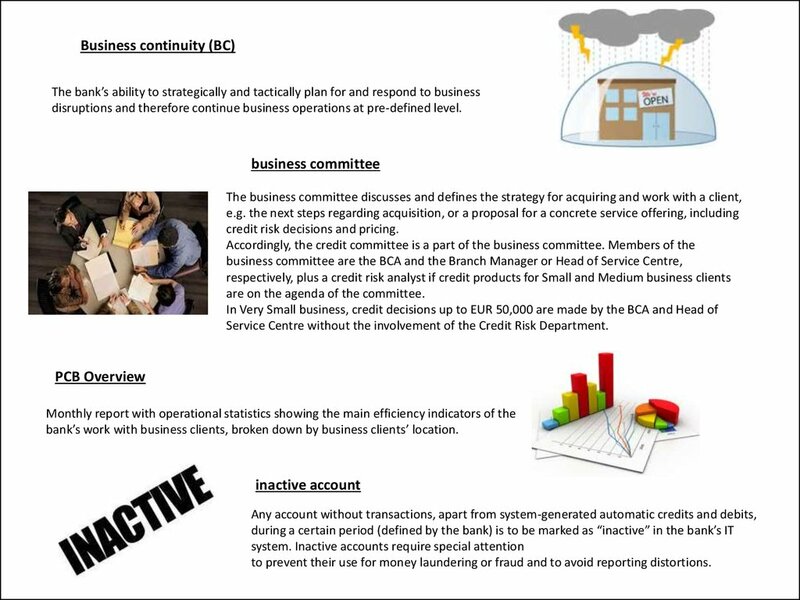 BCA Very Small, BCA Small and BCA Medium. 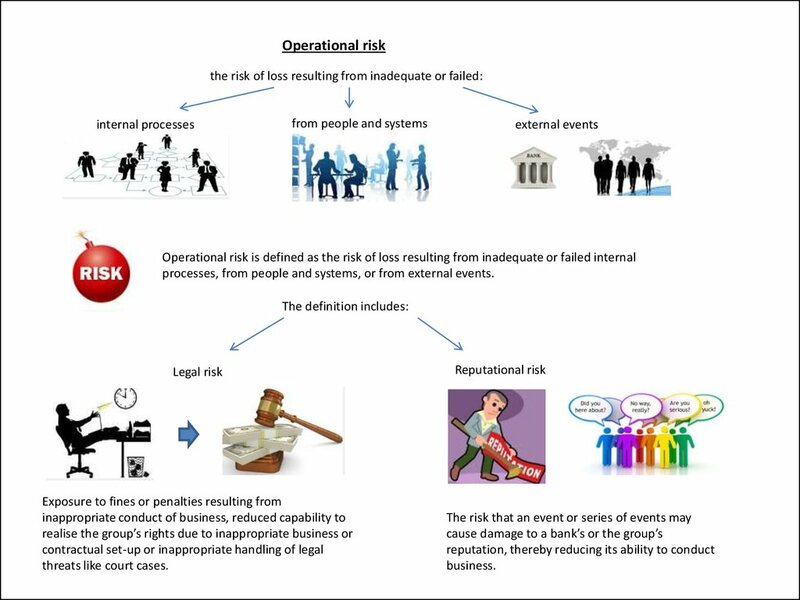 significant level of financial or/and reputational risk to the company or its clients. their bank. The range of functions available varies from country to country. payment obligations in full, or in a timely manner. 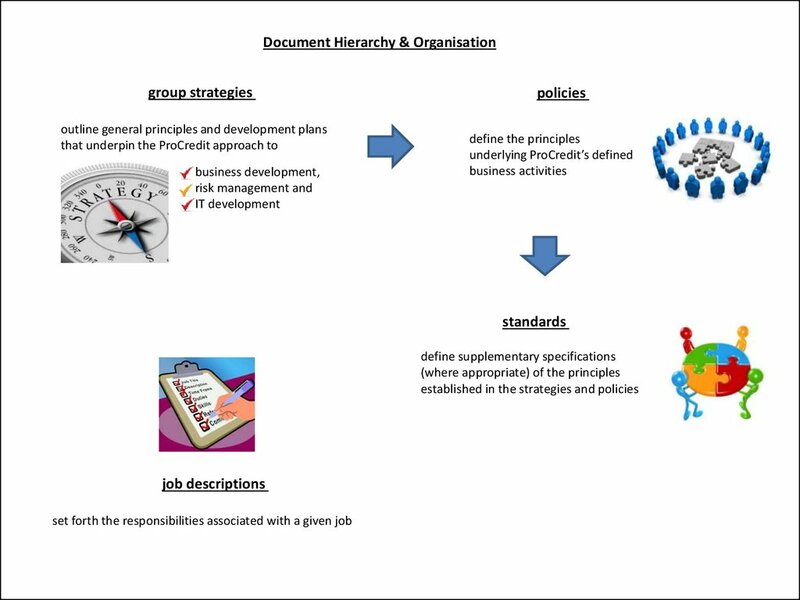 processes, from people and systems, or from external events.